We’re all about love in this episode. First off, we love you – listener. ads kept popping up all the time. It was like they were stalking me. Fondue. It’ll make her heart melt, just like our cheeses. Hey man, you still haven’t made a reservation at Cookoo Fondue yet. What’s the problem? Remember what you did on Christmas? reservation and hoped that the ads would stop. We were finally seated and we asked for the meal to begin. “I didn’t want to buy flowers that I wasn’t sure how long they’d stay fresh. “Yes, sir. 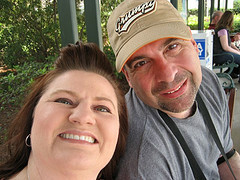 Happy Valentine’s Day.” The server smiled and walked away. I definitey overcooked the meat and tried not to give us a foodbourne illness. Besides, charcoal is good for the digestion. The dessert course was my favorite – I dipped everything in chocolate – even my tie. On this day in Dumb Guy History – the most amazing invention was invented. put it on the other end of the couch. and put the loose change you find in the piggy bank. way to the junk drawer and get replacement batteries. for Dumb Guys all over the world. To assist with the rehabilitation of Dumb Guys everywhere, help is finally here. 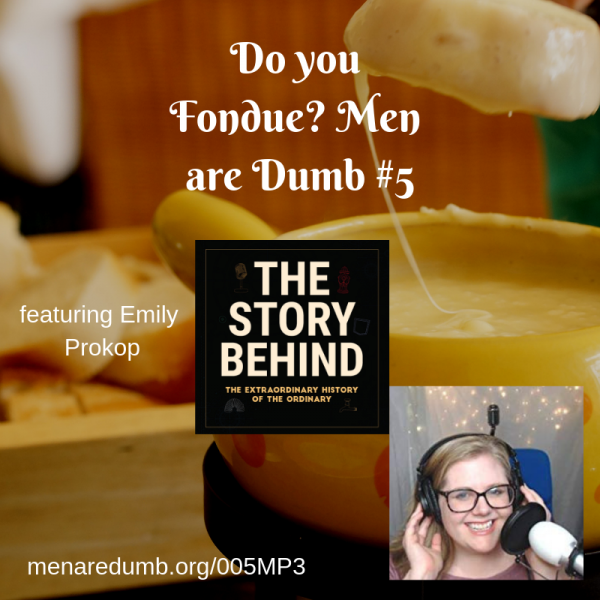 This episode we feature Emily Prokup from The Story Behind Podcast. her awesome podcast at thestorybehindpodcast.com. She also has a new book called “The Story Behind – The extraordinary history behind ordinary objects”. Check it all out on her website. Thanks for joining us here at the Men are Dumb Show. Please share this (and any) episode on Social Media and tell your friends that you think would enjoy this podcast about it. If you would like to comment on this topic, go to menaredumb.org/005 and leave a comment on that page. Ladies, if you’re with a dumb guy – sorry. The ‘In the Arms of the Angel’ cover song was performed by Laura Aston.